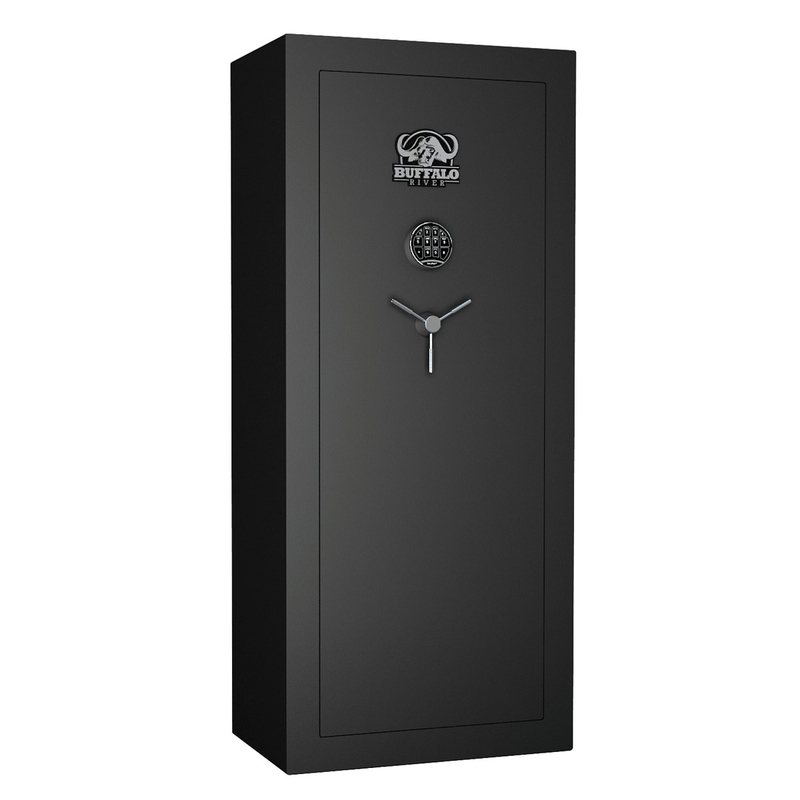 I would like to know on what rifle this safe's capacity of 18 was based as after putting my 12 in very little room is left. The moulded gun rack is solid and none of the slots are of sufficient width to accommodate a side by side shotgun's barrels. 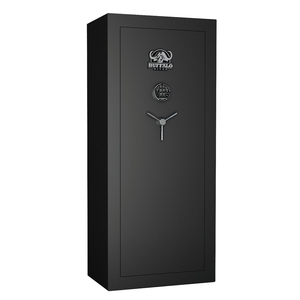 The lack of an override key in case of keypad malfunction is also a worry. 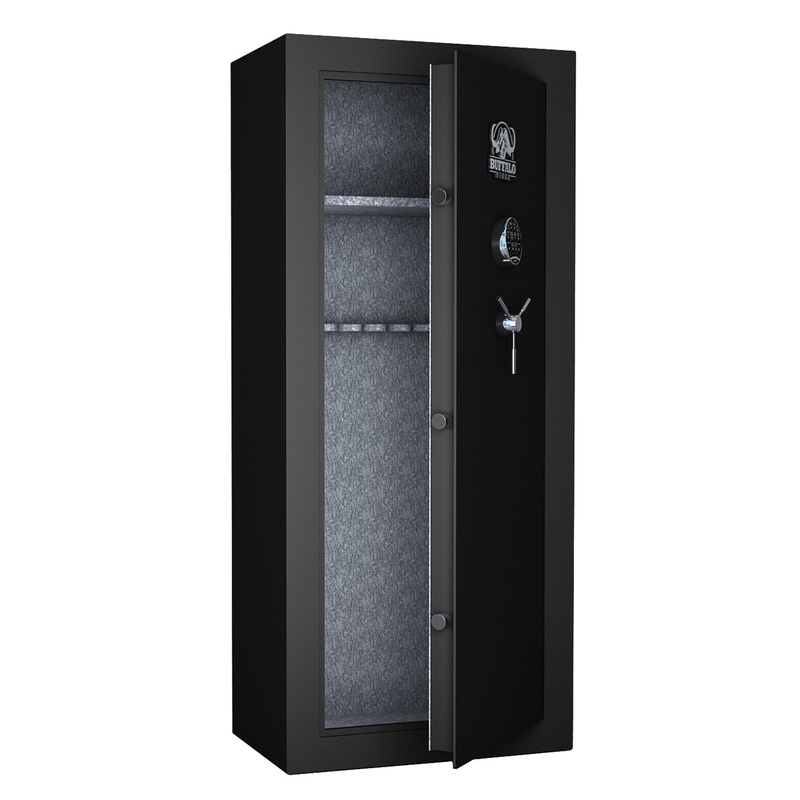 On the plus side the safe is well made and attractive aesthetically.